I read a good many books in 2016; I drank a good many cups of coffee while I was doing so. Sometimes other beverages, but mostly coffee. 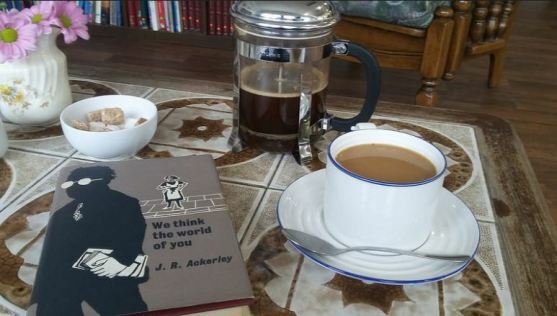 If you just want to see the books rather than read about them, you can go to my Flickr page, The book I’m reading the drink I’m drinking, where several of them appear, but otherwise read on for this next review of my 2016. Let’s start with the heavy ones. I’m aware that my choice of reading tends towards the portentous side of things at times, and that it would do no harm to read something light, even fictional, for a change. But these are weighty times, and there’s something about a thick hardback groaning with end notes that makes it feel like it’s my duty to tackle it. 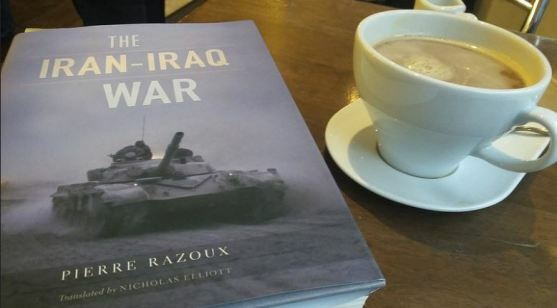 Particularly portentous and weighty was Pierre Razoux’s The Iran-Iraq War, a work so thoroughly researched, and written with such authority that you could not imagine the subject ever having the need to be covered again. It was one of the most pointless of wars, and also one of the dullest, but the book is compelling throughout, though with a tendency to list every piece of military hardware involved, enlightening no one except the specialists. The cynicism with which the respective rulers went about sacrificing their people over a few yards of land is chillingly documented. Heavier still pound-wise, but rather lighter to read, was James Sharpe’s A Fiery & Furious People: A History of Violence in England. This is just shy of 800 pages of how we have chosen to hit one another, from medieval times to the present day. It doesn’t really tell you much about why we do so, and the interpretation of violence is a broad one (e.g. people saying nasty things to one another), but what distinguishes the book is its extraordinary collection of real-life stories extracted from trial records, making every slight feel fresh and every victim our tragedy too. Third among the heavies was David Goldblatt’s timely The Games: A Global History of the Olympics. A history of the modern Olympic Games, tournament by tournament, it should have been exactly my sort of thing, but the chapters on the early Games were all too obviously borrowed heavily from single sources, so that they read as digests of other, better works (several of which I’ve read, so I feel I know). But with the more recent Games and the political compromises of our times, he was on much stronger ground, having a tart opinion on everything. Indeed I wondered at times why an author should want to devote so much time to writing about a phenomenon he was so sceptical about. The Olympics appeal to the romantic in us, way beyond that which logic should dictate. Capture that – along with the tales of insane budgets and corruption – and you have a book worth reading. I’ve been dipping in and out of former Labour MP Chris Mullin’s excellent diaries for a couple of years now. 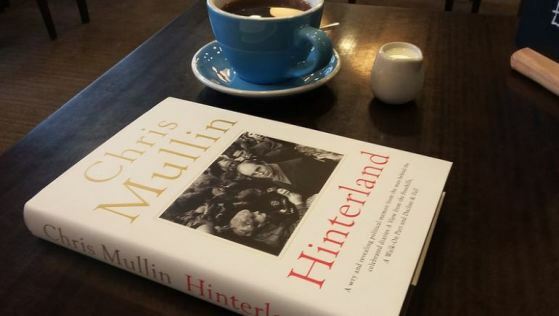 His autobiography, Hinterland, is a curate’s egg of a book. He covers the parts of his career for which he is best known, such as the overturning of the verdict against the ‘Birmingham Six’, which is useful, but in place the memoir lacks the self-deprecating charm of the diaries, even resorting to score-settling in some places. The book is at its best when he writes about those other than himself – his account of his Vietnamese wife’s story and that of her family is compelling and crystal clear history. Another Labour old hand who has taken up his pen is Alan Johnson. His third volume of biography, rather lazily entitled The Long and Winding Road (they’re all named after Beatles’ songs), tells of his move from trade unionism to the heights of government. 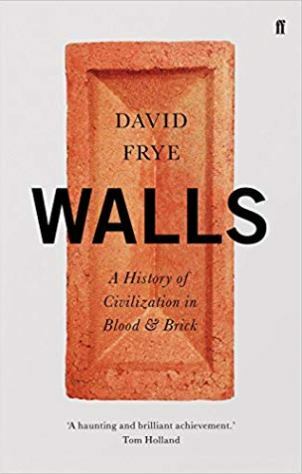 It felt a bit light to me, rushing through too much interesting history too sketchily, but he has developed a distinctive, beguiling writing style which may end up being his greatest achievement. Expect the next volume to be cover his writing fame and to be called – of course – Paperback Writer. 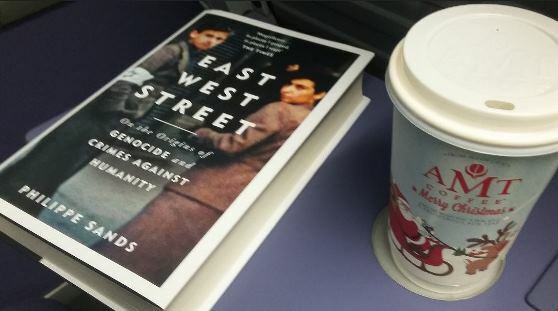 My joint book of the year – and that of many other people – is Philippe Sands’ East West Street: On the Origins of Genocide and Crimes Against Humanity. Sands is a human rights lawyer who has written a history of the Holocaust and the Nuremberg trails from an entirely fresh perspective. He traces four lives, each associated with the Galician/Polish town of Lvov, or Lemberg: the lawyer who came up with the concept of crimes against humanity, the lawyer who coined the term genocide, the Nazi governor of the area (also a lawyer), and the author’s grandfather. What distinguishes the book, and makes it such a compelling read, is how the personal and the political are interwoven through some stupendous research combined with great narrative control. 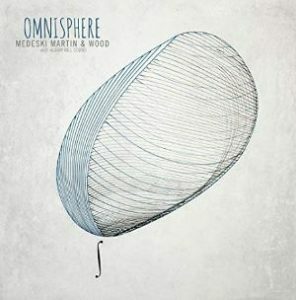 It is both light and weighty, shocking and uplifting. It has all the best qualities of a novel, while persuading us that there can be no finer occupation that the pursuit of history. My other top choice also has its heart in Poland. Wisława Szymborska (1923-2012) is one of my favourite poets, and Map: Collected and Last Poems brings together all her poetry bar some early ‘socialist realist’ work. Szymborska’s poetry is as far from socialist realist as you could hope for, being graceful, understanding, lyrical in expression and style, wry in its knowledge of human failings and the unlikelihood of those failings ever being rectified. It is poetry of a happy pessimism. It also translates beautifully into English (courtesy of Clare Cavanagh and Stanisław Barańczak). And there was much else besides. Of books published this year, there was Samuel Hawley’s The Fight That Started the Movies is a first-rate account of the filming of the Corbett-Fitzsimmons 1897 world heavyweight boxing match, focussing on the made who filmed it, Enoch Rector, and coming up with some striking new discoveries while producing a really good read at the same time (such a rarity among early cinema books, alas). David Hepworth’s 1971 – Never a Dull Moment is a nostalgic and engrossing review of what he argues what the most creative year in rock history, because he was at just the right age to appreciate it. I sympathize, while knowing that the year in question is in fact 1979. Of course. 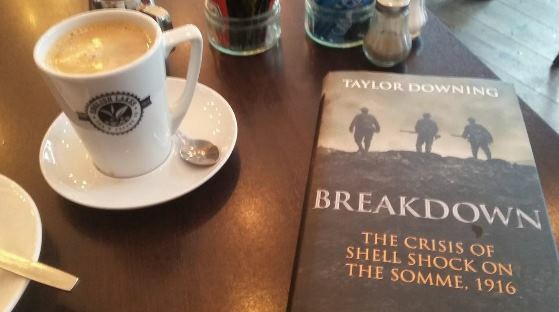 Taylor Downing’s Breakdown: The Crisis of Shell Shock on the Somme is as good a book on the First World War is as likely to be written in this centenary period. A complex, wide-ranging topic explained with clarity and humanity. Catherine Merridale’s Lenin on the Train is 75% a first-rate history of the start of the Russian Revolution, following Lenin’s train journey to the Finland station, and 25% disappointment when in the latter stages it loses the narrative because it assumes we already know it. I read only four novels, which at least beats the two-and-a-half I managed in 2015. I finally got round to reading J.R. Ackerley’s We Think the World of You, which entirely deserves its minor classic status; enjoyed E.L. Doctorow’s The March, his usual mixture of real and imagined people from history, this time bound up with the American Civil War, while feeling that it didn’t quite match his best work; and toiled my way through Jack Cox’s experimental Dodge Rose, which is the sort of book James Joyce would have written had he come from Sydney and had a deep knowledge of inheritance law, but if so then he would never have become James Joyce. Georges Perec’s witty and innovative Things (Les Choses) shows you how these things should be done. Oh, and I dipped into Charles Dickens’s The Uncommercial Traveller; struggled my way through the late Geoffrey Hill’s poetry (OK, the Mercian Hymns are a bit of a hoot); breezed through Umberto Eco’s The Infinity of Lists (Hill and Eco both died this year); surprised myself by actually getting through Paddy Scannell’s abstruse Television and the Meaning of Live – and enjoying it; read assorted histories of the newspaper, wishing that they would write less about who made the newspapers and more about who actually read them, and enjoyed the essays of V.S. 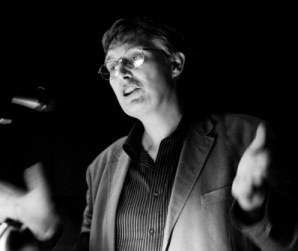 Pritchett and Charles Nicholl. And several others besides, the memory of which has now faded. Goodness, rather weighty tomes in your non-fiction choices Luke. Just make sure you put Middlemarch on your Fiction to Read 2017 list!